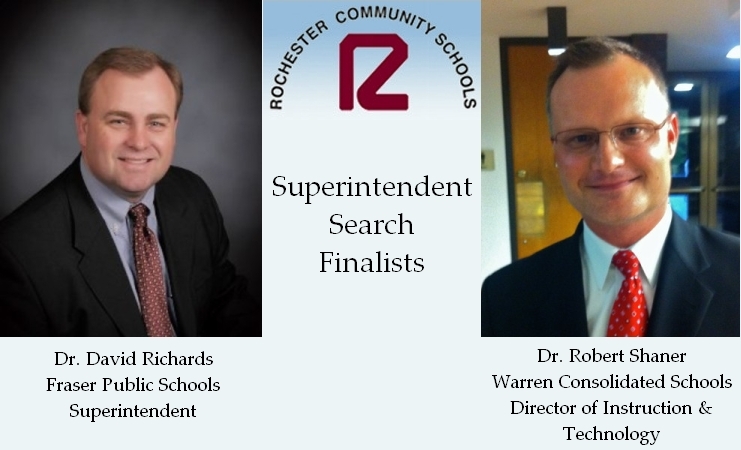 As Rochester Community Schools concludes its superintendent search, the final events allow for public interaction with the candidates. These are great opportunities to meet the superintendent finalists and let them know how vital the need for gifted education is in this district. Tonight, January 22, is an Open House to meet the candidates from 7:00 p.m. to 8:30 p.m. in the Harrison Room at the district administration center at 501 W. University, Rochester, Michigan. Tomorrow, January 23, the two finalists will be interviewed. Dr. Robert Shaner’s interview is scheduled for 5-6:45 p.m. and Dr. David Richards will be interviewed from 7-8:45 p.m. The public should have an opportunity to ask questions of the candidates and provide written feedback to the Board of Education. This is also in the Harrison Room at the district administration center at 501 W. University, Rochester, Michigan. Please take these opportunities to interact with the candidates. Your voice is important! In addition, during the day tomorrow some representatives of Rochester SAGE and other school organizations will be interviewing the candidates. We plan on asking the candidates about gifted education and providing transcripts of their responses.